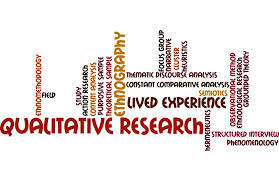 Qualitative research is a type of scientific research which has its roots in philosophy and human sciences. Qualitative research is used to gain insight into people's attitudes, behaviours, value systems, concerns, motivations, aspirations, culture or lifestyles. Qualitative researchers aim to gather an in-depth understanding of human behavior and the reasons that govern such behavior. Qualitative research is often associated with naturalistic inquiry. Naturalistic methods of inquiry attempt to deal with the issue of human complexity by exploring directly. Naturalistic inquiry always takes place in the natural settings (field). Naturalistic studies result in rich, in-depth information that has the potential to elucidatethe multiple dimensions of complicated phenomenon. The qualitative method investigates the why and how of decision making, not just what,where, when. The qualitative researcher is interested in illumination and understanding rather than causal determination or prediction. The key difference between quantitative and qualitative methods is their flexibility. Small samples using purposive, convenient or snaw ball sampling technique. appropriate for collecting data on naturally occurring behaviors in their usual contexts. optimal for collecting data on individuals’ personal histories, perspectives, and experiences, particularly when sensitive topics are being explored. effective in eliciting data on the cultural norms of a group and in generating broad overviews of issues of concern to the cultural groups or subgroups represented. Sample sizes depend on the resources and time available, as well as the study’s objectives. In quota sampling, rsearcher decides while designing the study how many people with which characteristics to include as participants. Characteristics such as age, place of residence, gender, class, profession, marital status, use of a particular contraceptive method, HIV status, etc. are taken as inclusion criteria. The criteria chosen by the researcher allow him to focus on people he thinks would be most likely to experience, know about, or have insights into the research topic. Also known as chain referral sampling. In this method, participants or informants with whom contact has already been made use their social networks to refer the researcher to other people who could potentially participate in or contribute to the study. E.g. 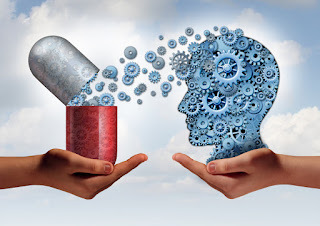 To study a population of opium dependents, the researcher establishes a few contacts initially and these contacts help the reseracher to get in contact with other members in the group. Collect and explore in-depth information that can’t be conveyed quantitatively. Provide rich descriptions of complex phenomena. Researcher adopts and uses one or more strategies of inquiry. Generally begin with a broad area to be studied. Identify a site for data collection. In qualitative research, the research design is often referred to as emergent design- a design that emerges during the course of data collection. These processes take place in an interactive fashion. The investigator starts data collection by talking with or observing a few people who have first-hand experience of the phenomenon under study. The analysis of qualitative data is an intensive and time-consuming task. As the ananlysis and interpretaion progress, the researcher identify themes and categories, which are used to build a descriptive theory of the phenomenon. The guiding principle in deciding the sample size is data saturation. Qualitative research reports are increasingly being published in nursing journals. Qualitative finding are used as the basis for the formaulation of hypothesis that are tested by quantitative research. Ethnography is a description and interpretation of a cultural or social group or system. The research examines the group’s observable and learned patterns of behaviour, customs, and ways of life. Phenomenology describes the subjective reality of an event, as perceived by the study population; it is the study of a phenomenon. The issue in qualitative research is validity /credibility / dependability. Triangulation is one way of promoting rigour in qualitative research. The term refers to the use of more than one method of data collection and can involve triangulation of data, investigators and theories. Qualitative research must be systematic, rigorous and planned to make it credible and dependable. It involves critical self-scrutiny (active reflexivity) to produce explanations. Such investigations produce social explanations which are somewhat generalizable. Qualitative research is still not be seen as a unified body and face many criticisms. Bailey C, Froggatt K, Field D, Krishnasamy M. The nursing contribution to qualitative research in palliative care 1990-1999: a critical evaluation. J Adv Nurs. 2002 Oct;40(1):48-60. Creswell, J.W.Research design. Qualitative, quantitative and mixed methods approaches. Thousand Oaks, CA: Sage, 2003. Denzin & Lincoln (eds.). Handbook of Qualitative Research, 2ND ed., Sage Publications, Inc. London, 2000. Polit H, Beck C T. Nursing research. 8th ed. New Delhi: Williams and Wilkins; 2008. Walters AJ. Phenomenology as a way of understanding in nursing, Contemporary Nurse Journal;1994, 3:3- 134 - 141. 2). Graneheim UH, Lundman B. Qualitative content analysis in nursing research: concepts, procedures and measures to achieve trustworthiness. Nurse Educ Today. 2004 Feb;24(2):105-12. 3). DeSantis L, Ugarriza DN. The concept of theme as used in qualitative nursing research.West J Nurs Res. 2000 Apr;22(3):351-72. 4). Chen HY, Boore JR. Using a synthesised technique for grounded theory in nursing research. J Clin Nurs. 2009 Aug;18(16):2251-60. 5). Pale J. Husserl, phenomenology and nursing. Journal of Advanced Nursing 2008; 26:1.